In honour of our land’s pastures, Le Champaître emanates wildflower aromas, and has a distinct taste of butter and almonds. 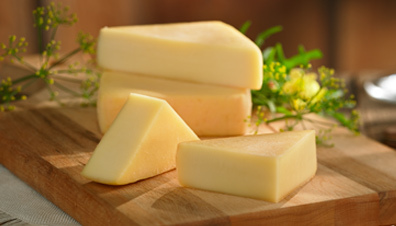 Semi-soft and consistent, with a butter-yellow colour, its texture is supple and pliant. Hand-washed and hand-rubbed on a pine board, this pavé develops a golden and slightly humid rind. 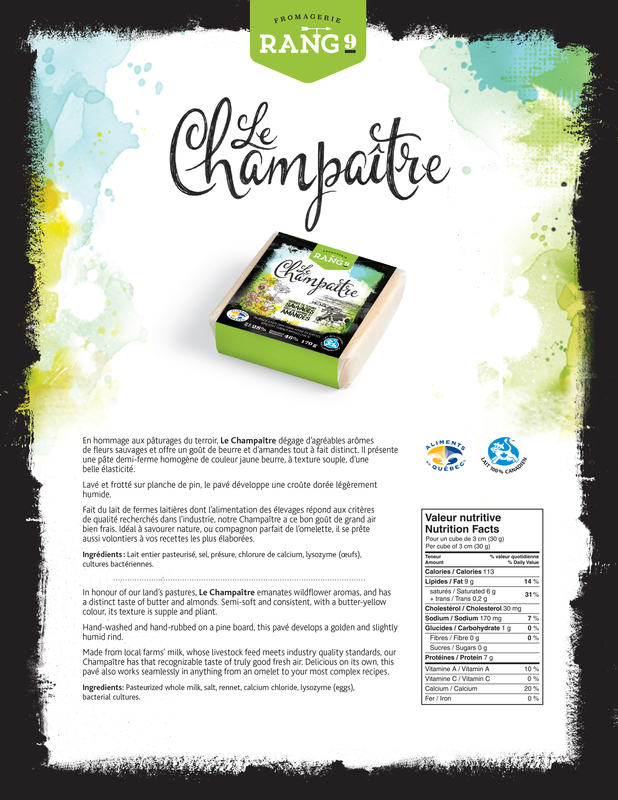 Made from local farms’ milk, whose livestock feed meets industry quality standards, our Champaître has that recognizable taste of truly good fresh air. Delicious on its own, this pavé also works seamlessly in anything from an omelet to your most complex recipes.